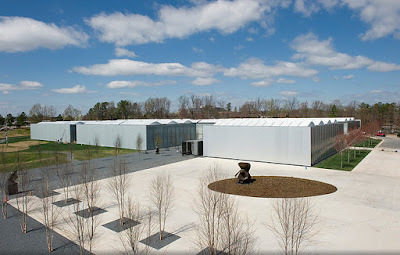 Jared Unzipped: The North Carolina Museum Of Art... Well That Was Disappointing. 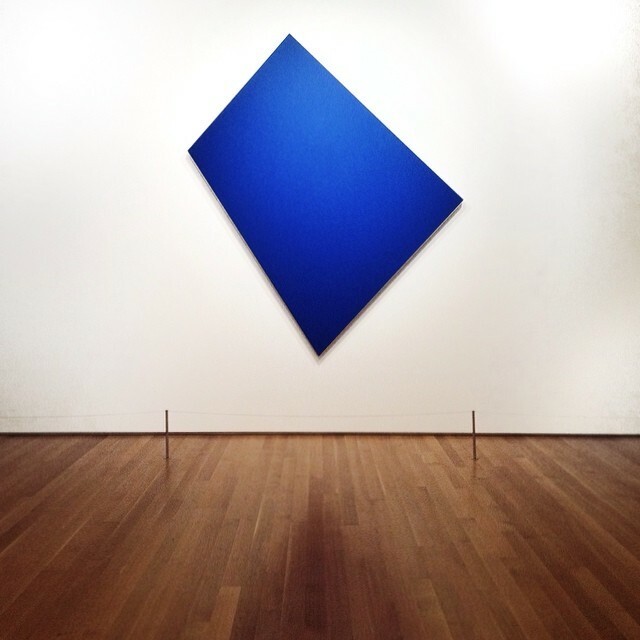 The North Carolina Museum Of Art... Well That Was Disappointing. Crystal and I took a nice drive to Raleigh, North Carolina today. After enjoying an extremely tasty (and quite healthy) lunch at Guasaca Arepa and Salsa Grill, we made our first visit to the North Carolina Museum of Art. Let me tell you... our lunch was much, much better than what we saw at the museum. The NCMA West Building. This was perhaps the worst art museum I've ever been to. Crystal: "Was that painted with feces?" 'Blue Panel' by Ellsworth Kelly. I kid you not... this piece of crap is hanging at the NCMA and is labeled as 'art'. So easy, a blind three year old could do it. On to the West building of the NCMA, where we were greeted by more uninspired and generally repetitive art. There were walls and walls and even more walls of classical paintings representing Jesus Christ and other biblical figures. While I am well aware of the importance of religion in classical and European art, it was by no means the only subject ever painted. The collection held by the NCMA would lead you to believe otherwise. I lost count of the number of paintings depicting Christ or other Christian events. Even beyond the endless walls of Bible paintings, there were rudimentary and altogether uninspired pieces. Very few quality landscapes or portraits were on display, nor any examples of etchings, engravings, pen and ink illustrations or charcoal works. The number of 19th and 20th Century American works was absolutely pathetic. The collection of paintings was so boring in fact that Crystal and I often marveled at the intricacy and construction of the frames instead -- they were of more merit in many cases! All in all, I could count the number of works I liked at the NCMA on one hand... and there would be fingers left over. Thank goodness the price of admission was free... or otherwise I'd feel robbed. If I could suggest any sort of improvement to the NCMA, it would be this. They need more diversity and less repetition. Get off the Biblical theme and eliminate a large portion of their abstract and modern works. In terms of art in general, I must reiterate a simple, but stark point -- just because something is old does not necessarily mean it is good.